Ever since Fallout 4’s release, inquisitive players have been obsessed with one thing: what in the world is Fallout 4 hiding? 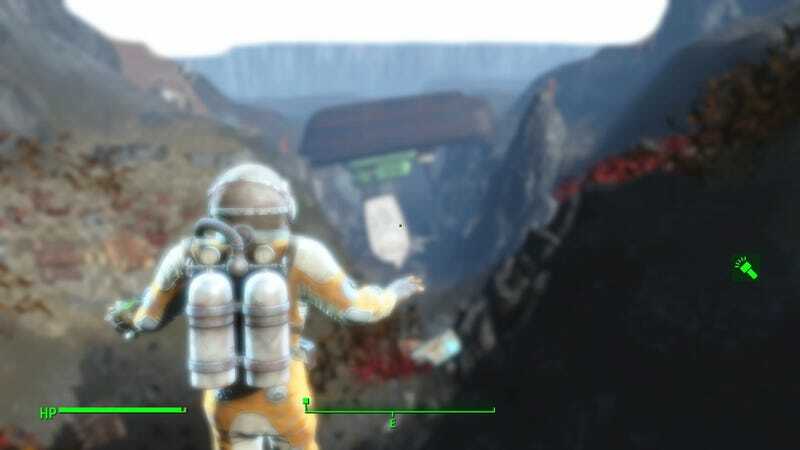 There is a lot of water in Fallout 4. Surely there must be something under there? At least, this is an assumption players have been making for over a month now. To wit, if you type ‘Fallout 4 underwater,’ Google will likely autocomplete with “secrets.” The mystery is a Thing within the Fallout fandom. A man in a wheelchair in the middle of nowhere. This poor guy didn’t make it. Not-so-normal-looking-fish. This one is a Jaws easter egg, actually. Yes, there are apparently enemies floating in the water, too! Legendary enemies, too. A boat with a hilarious number of cat paintings. MEOW. MYSTERIOUS STRUCTURES. Some of them even have symbols/words on em! A suit of Power Armor. Well I’ll be. In short: there is no huge, mind-blowing secret hiding in Fallout 4’s waters, as best as anyone can tell. That’s OK, though. There’s still plenting of cool stuff hiding under there, as well as some loot. And you should definitely check the original imagur, which provides all sorts of other images of what’s hiding in Fallout 4’s water. Of course, just because people haven’t found anything big within the waters of Fallout 4 doesn’t rule out the possibility that Bethesda might go there with the DLC. One can dream, at least!